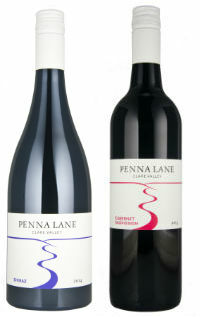 The Penna Lane Shiraz is sourced from one of the Clare Valley’s most elevated vineyards. This elevation produces a wine that is bright, varietal and complex. Our approach at Penna Lane is to work with the typical Shiraz flavours of plum and blueberry and complement these with savoury flavours from oak selection and maturation techniques. The robust tannins of this great variety are made more interesting with careful attention to winemaking, during which we aim to soften the impact on the palate and enhance the tasting experience.